Sunday, 22 July 2018, 6 p.m. at the Coniston Institute. All are welcome to this informal gathering to hear a faith story. 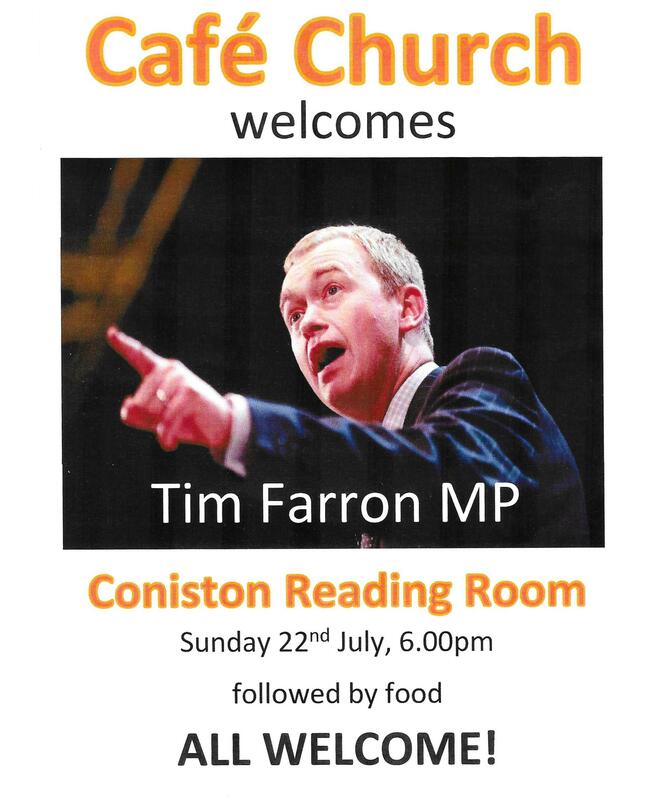 This evening is no exception when Liberal MP Tim Farron shares what is important to him. This entry was posted in Discipleship, Mission, Special Events on July 21, 2018 by angelweb.